Just over a week ago, one of my favourite video essayists, Patrick (H) Willems, posted a video titled “Jurassic Park’s Sequel Problem”, in which he outlines why he thinks there hasn’t yet been a great Jurassic Park sequel – or at least one that lives up to the original 1993 film, and the first in the franchise. I couldn’t help but think about Willems’ video as I was watching the opening act of Jurassic World: Fallen Kingdom – the sequel to the massively successful Jurassic World, released in 2015 – and it dawned on me that the first few minutes were character introductions so that they can go back to the island again. And go back they do: at the outset of this sequel, we find out that a dormant volcano underneath Isla Nublar – the island from the original Jurassic Park and the sequel Jurassic World – is threatening to explode and kill all life on the island, particularly in and around the now-defunct theme park. Former theme park manager-turned-dinosaur rights activist Claire (Bryce Dallas Howard) is contacted by the estate of Ben Lockwood (James Cromwell), a former collaborator of John Hammond, who has plans to move the dinosaurs off the island and to a sanctuary he has created for them. 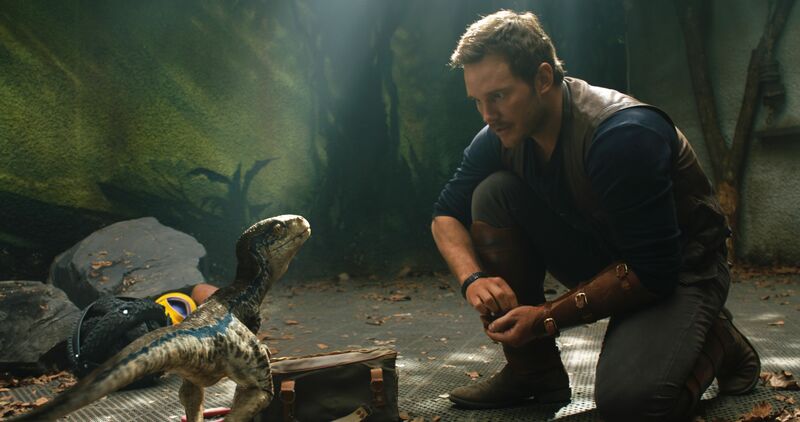 And so Claire, with her knowledge of the park, treks out to Isla Nublar with Lockwood’s team, accompanied by a vet, a tech geek and Owen Grady (Chris Pratt), whose connection to the velociraptor Blue will help the team rescue her. But alas, all is not as it seems: Lockwood’s assistant Mills (Rafe Spall) has double-crossed his boss, and is actually bringing the dinosaurs to the mainland to auction them off to the highest bidder, alongside a horrific newly-created predator, the Indo-raptor. As you’d expect, Claire and Owen don’t feel so good about all of this, and decide to stop Mills’ auction and kill the indo-raptor before it can kill anyone, which it manages to do anyway with something approaching ruthless efficiency. The movie ends with the former inhabitants of Isla Nublar escaping into the wilds of the United States of America, as Ian Malcolm (Jeff Goldblum) tells a senate committee “welcome to Jurassic World”. It’s very much a sequel in two parts – the first half, in which the characters go back to the island again and are forced to escape with their lives, and the second in which the dinos are brought to the mainland and there is a great deal of talk about the ethics of genetic modification (one minor plotline deals with a new character, Maisie, being a human clone; the ethics of human cloning, it turns out, is what caused the rift between Hammond and Lockwood back before Jurassic Park existed), with the final scenes setting up a sequel that won’t rely on anyone going to an island. In a way, you could see Jurassic World: Fallen Kingdom as the middle-chapter of a new trilogy that seeks to correct some of the problems that Willems was talking about. Yes, characters went back to the island, but the second half of the film clearly seeks to set up a future in which characters don’t have to make decisions we don’t understand – and in that context, you can forgive the island-set first half as merely putting the characters and the dinosaurs in a room together. It makes for a potentially exciting future for the franchise. A third Jurassic World film could find Owen and Claire helping hunt wild dinos in rural America. Or it could be a Planet Of The Apes-style dystopia in which dinosaurs have replaced humans as the dominate predator. Or it could go further down the genetics route, with genetically-modified dinosaurs being used as weapons both against the original dinos and against humans. The possibilities are endless, and don’t involve islands. And, I’ll be honest, I’ll be queueing up on opening night regardless of what direction the film takes. As far as this film goes, it was pretty good. I mean, the notion that the sequels are samey is right – if you’ve seen one human-being-hunted-by-a-dangerous-predator, you’ve seen ‘em all. J.A. Bayona directs this film with plenty of style, ramping the tension at the right points, but it isn’t as horrific as you might expect, no more so than any of the earlier films. Pratt and Howard are fine too. I don’t know that their characters are necessarily strong enough to carry the franchise as much as they have been, but the actors make up for it with genuine charisma and rapport on screen. And it was nice to see Goldblum pop up in a fairly brief cameo, one of several nice little nods to the original film. I don’t know what to tell you – it is a Jurassic Park sequel, so it’s probably a lot like you’re expecting. But I am excited by some of the story choices late in the film, and especially the notion of dinosaurs running wild in the real world. Jurassic World: Fallen Kingdom may not be the great Jurassic Park sequel we want or deserve, but there is a chance the next film might be. And I’m excited to see what they do next. Jurassic World: Fallen Kingdom was directed by J.A. Bayona, from a script by Derek Connolly and Colin Trevorrow, and stars Chris Pratt, Bryce Dallas Howard, Rafe Spall, Justice Smith, Daniella Pineda, Isabella Sermon, James Cromwell, Toby Jones, Ted Levine, BD Wong, and Jeff Goldblum. It is in cinemas now. This entry was posted in Film and tagged bryce dallas howard, chris pratt, dinosaurs, jurassic world, jurassic world fallen kingdom. Bookmark the permalink.